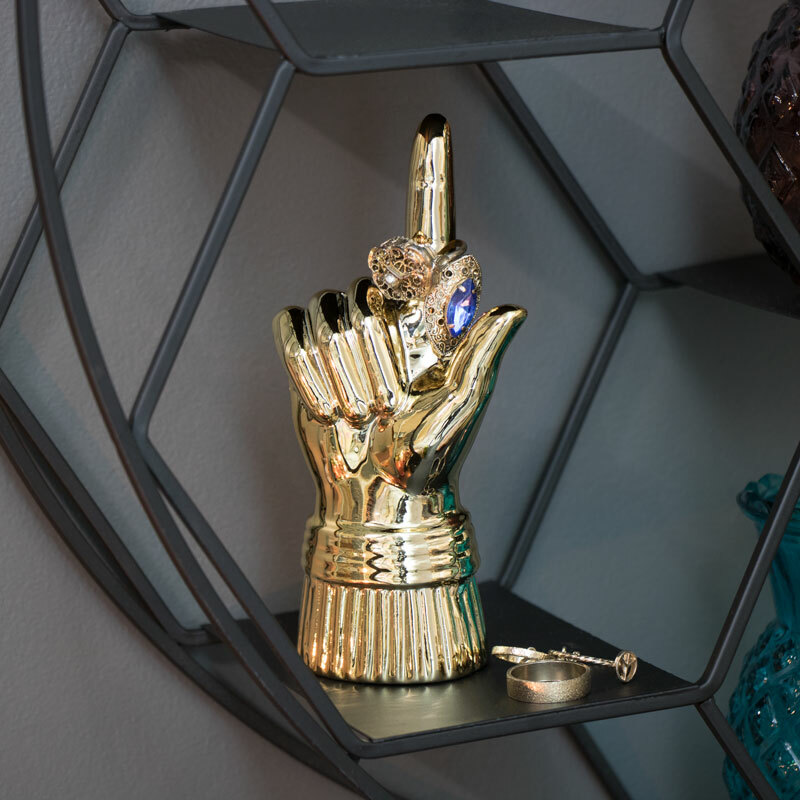 This Gold Ring Finger wall mounted Hook/ ring holder is perfect home decor for those who love glamorous, quirky, vintage or eclectic style interiors. Great statement wall decor for a bedroom, living room or hallway space. Ideal for ring storage on a dressing table. Give your coats and towels the perfect place to hang and make sure you do it in the best way possible with this wall hook. A fun gift idea or just perfect for yourself. Use as a single hook in the bathroom, bedroom, kitchen or hallway. The polished gold colour stands out and will make quite the statement. 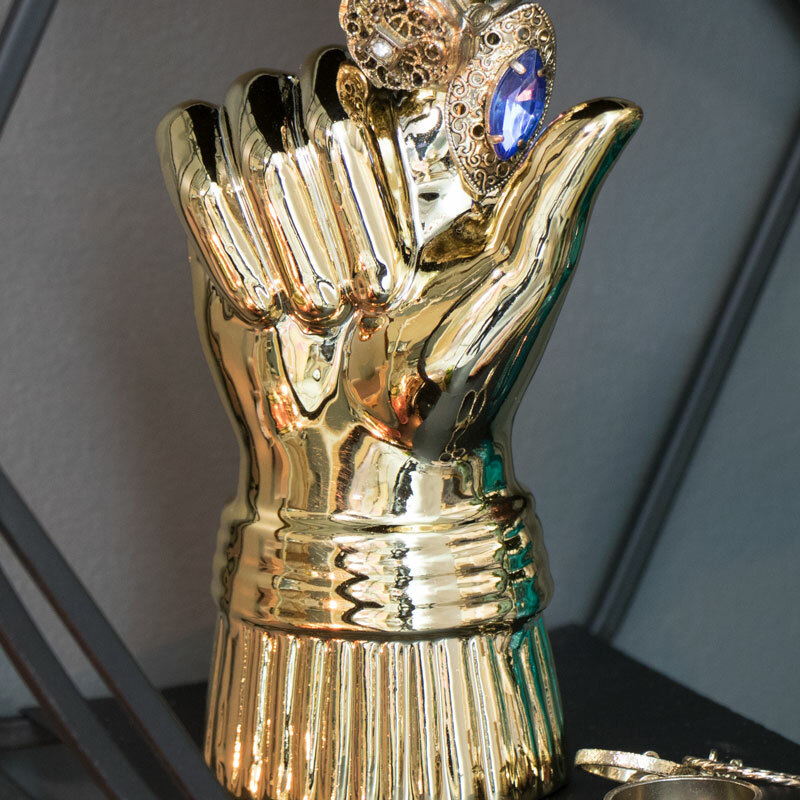 This Gold Ring Finger wall mounted Hook/ ring holder is perfect home decor for those who love glamorous, quirky, vintage or eclectic style interiors. Great statement wall decor for a bedroom, living room or hallway space. Ideal for ring storage on a dressing table. Give your coats and towels the perfect place to hang and make sure you do it in the best way possible with this wall hook. A fun gift idea or just perfect for yourself. Use as a single hook in the bathroom, bedroom, kitchen or hallway. The polished gold colour stands out and will make quite the statement. Made from resin and finished in a polished gold. Easily wall mounted with a hole on the back for affixing to a wall hook (not included). With so many hooks and racks to choose from, you can accessorise your home in the style that suits you.